Shopping for National Lampoon Aprons? Celebrate the holidays with National Lampoon's Christmas Vacation! 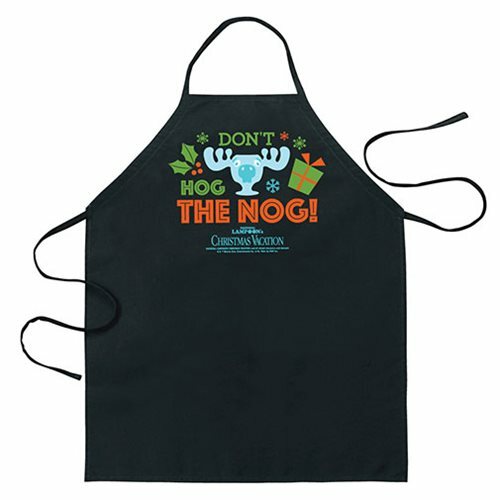 The National Lampoons Christmas Vacation Don't Hog the Nog Apron features the famous moose cup and says, "Don't Hog The Nog!" Fans of National Lampoon's Christmas Vacation will love this great apron commemorating the popular movie! One size fits most.